AE3803 doesn't quite know her way around yet. 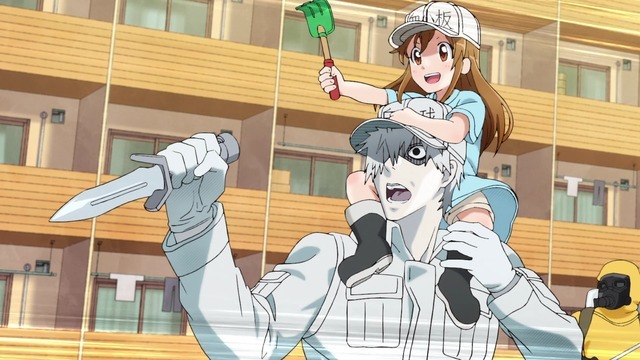 One of the more pleasant surprises of the Summer 2018 anime season is Hataraku Saibou (Cells at Work!) which anthropomorphizes a human body's blood cells and depicts them as industrious workers carrying out tasks such as ferrying oxygen to different parts of the body and fighting germs. You get used to it, newbie. It's maybe about what you might expect if you're familiar with these sorts of gimmick shows, but the execution is quite good. The setup is suitably clever, and the various characters are endearing. 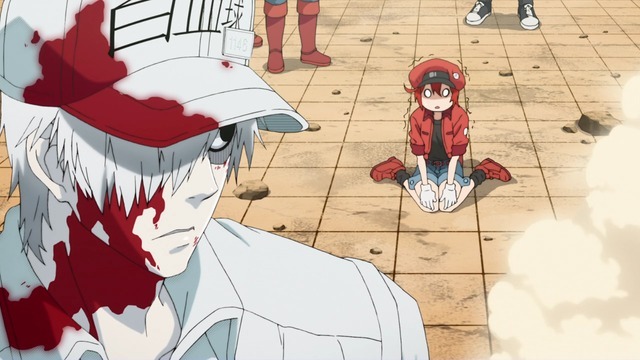 In particular, Hanazawa Kana is excellent as the newbie red blood cell, AE3803. I enjoy her panicky shrieks. They contrast nicely with her white blood cell friend's somewhat staid approach to executing bacteria. Platelet is also a fan favorite already. I'm not sure how long this will stay amusing, but there's certainly no shortage of different stories the show could explore. There are at least five volumes of the still running manga, and three spinoffs, so I'm fairly confident there will be enough source material to keep the show entertaining throughout the season. In fact, Hataraku Saibou briefly held the top stop in my Summer 2018 ranking (until the incredible first episode of Shoujo☆Kageki Revue Starlight raised the barre). 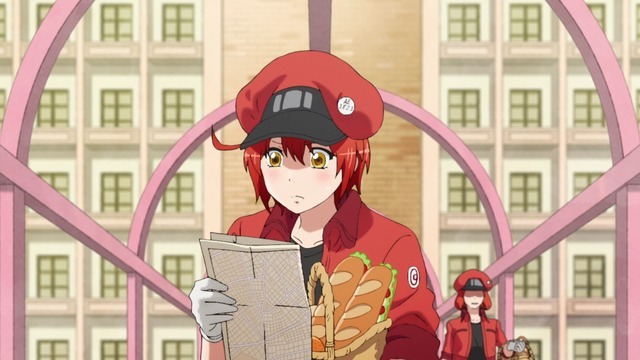 I'm not expecting Cells at Work! to remain quite this high for the rest of the quarter, but it is off to a strong start.